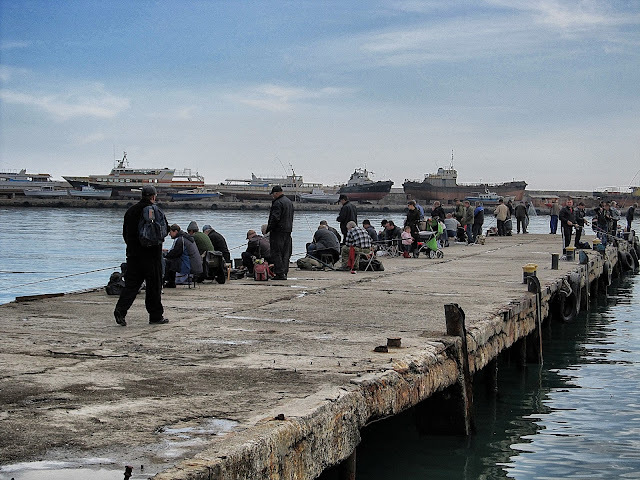 After spending many, many months just 30 km from the Russian border it was with some excitement that we got to travel to the southern most part of Ukraine on the Crimean peninsula. The highlight of that trip was spending a few days in Yalta on the banks of the Black Sea. 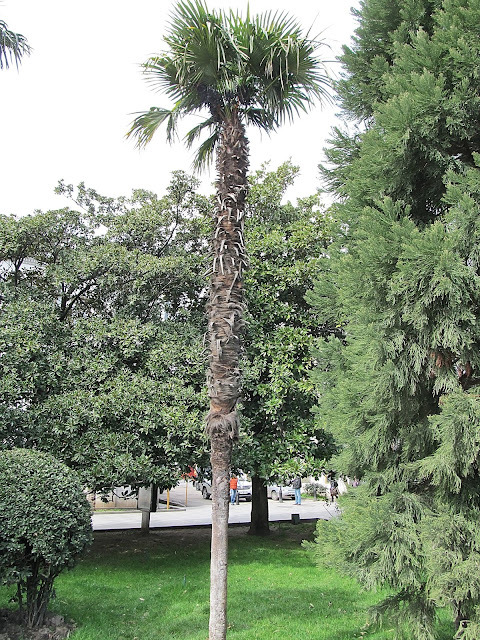 It was also a chance to see my first Ukrainian palm tree. 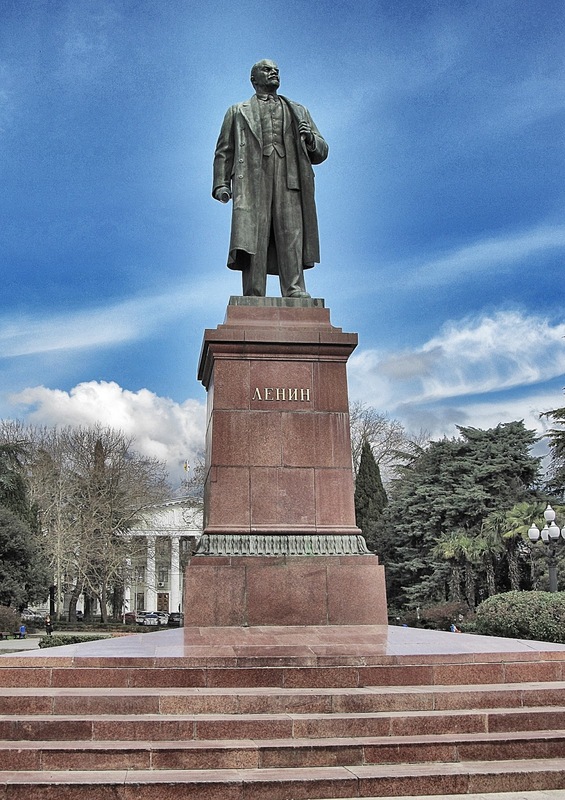 Like Kharkiv, Yalta also has a very prominent Lenin statue. 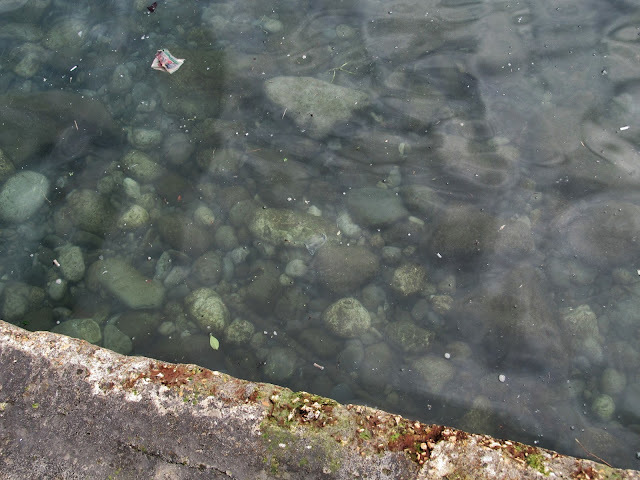 It was placed near the main marina and today it looks onto a McDonald's restaurant open 24 hours a day. 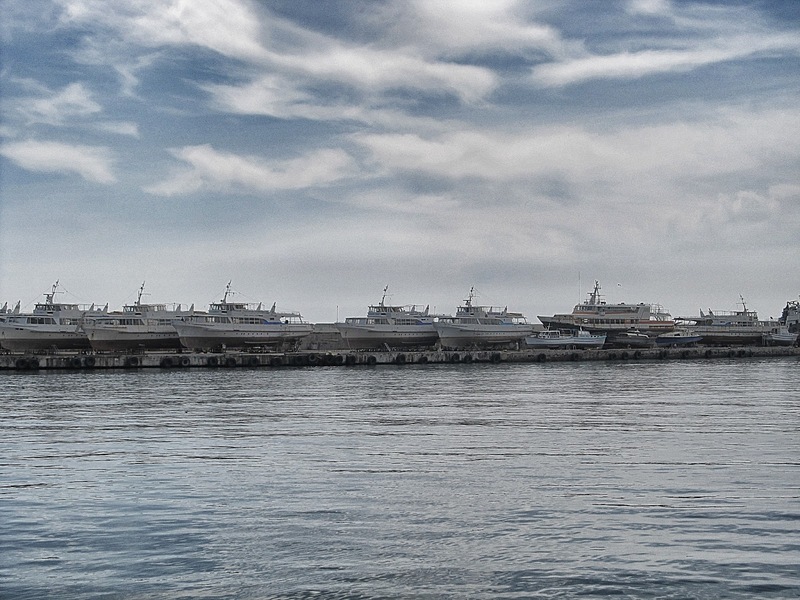 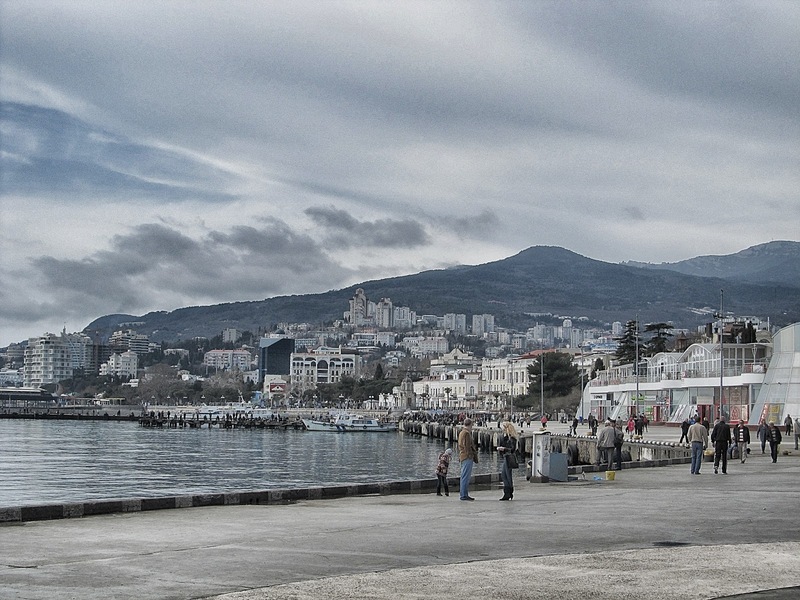 A view of Yalta from the marina. We visited at the end of March and so most of the boats hadn't been put in the water yet. 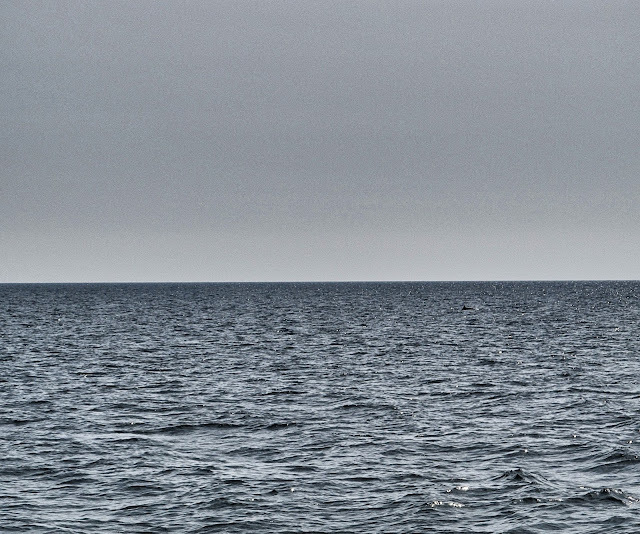 We were out and about pretty early that morning and so we got to see many fisherman practicing their craft. Although there was a little garbage floating in the water near the shore this was by far the cleanest water we'd seen in Ukraine. 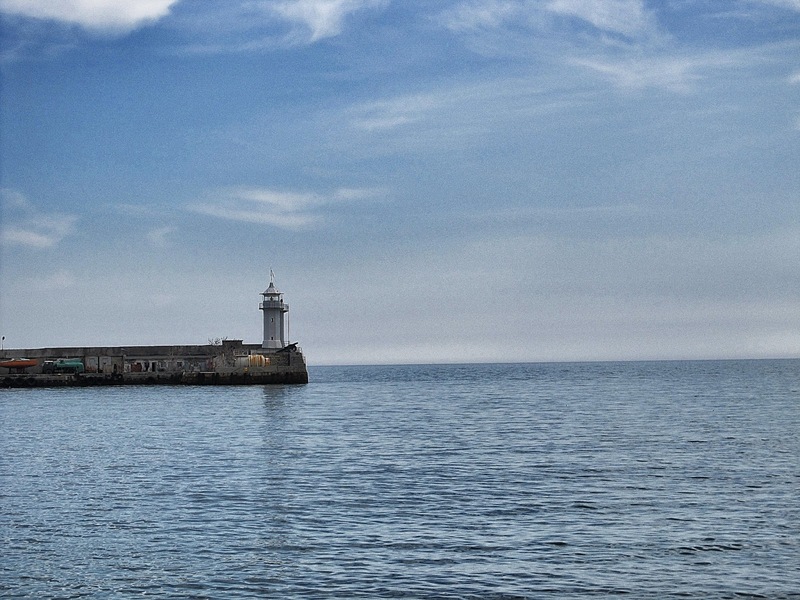 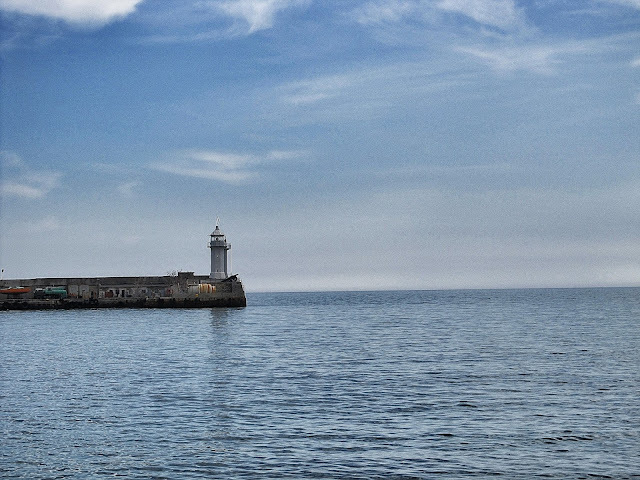 A lonely lighthouse on the Black Sea. We also took a "three hour tour" on this ship along the coast which was currently the only way to view one of Yalta's famous sites, the Swallow's Nest. 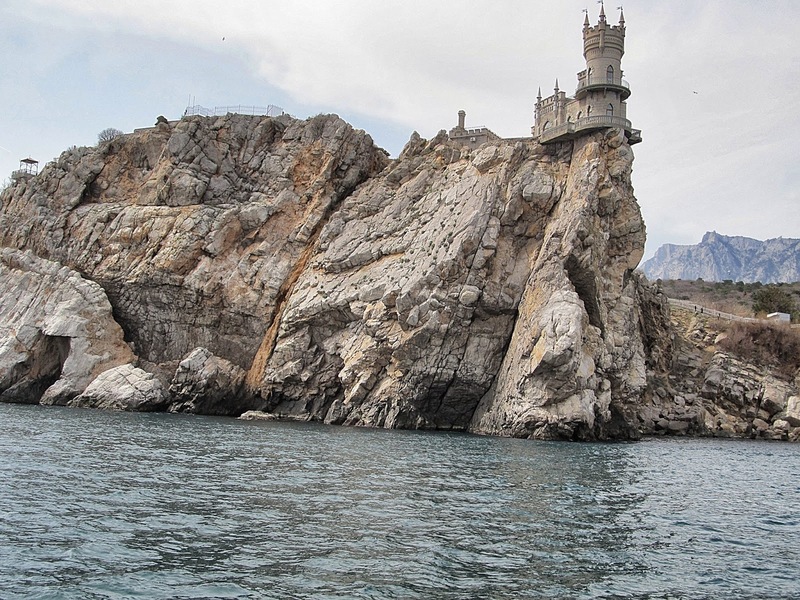 It is currently closed for renovations and so you aren't able to drive there for a visit. 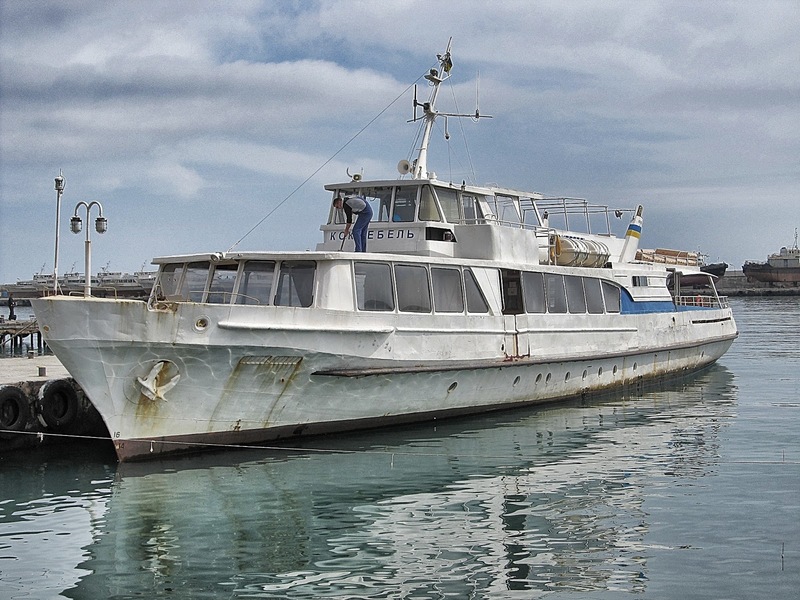 Believe it or not it the building has been an Italian Restaurant since 1975. 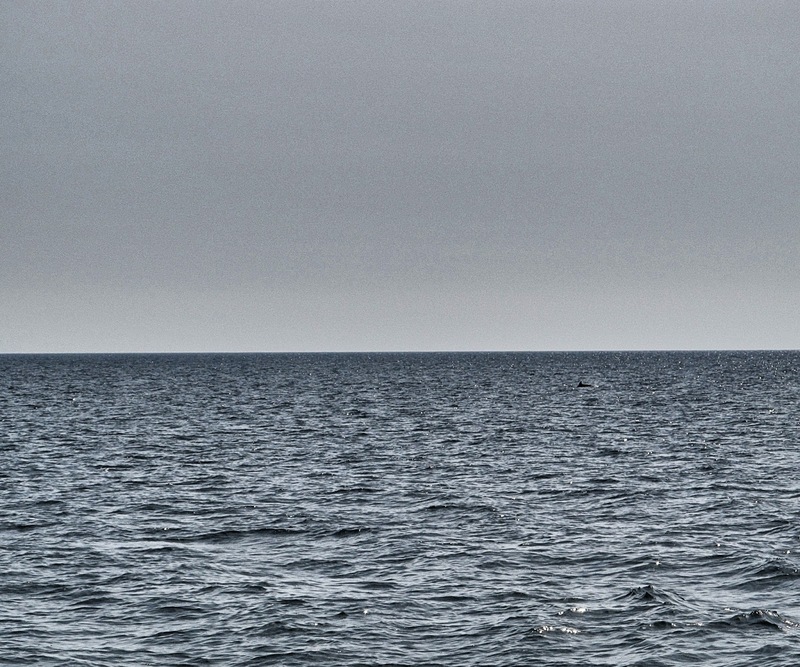 The Black Sea from our boat tour. 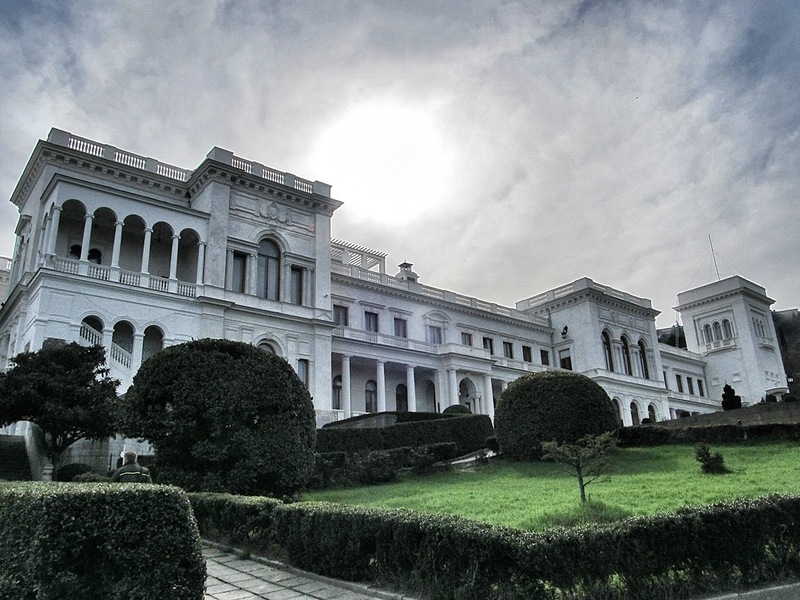 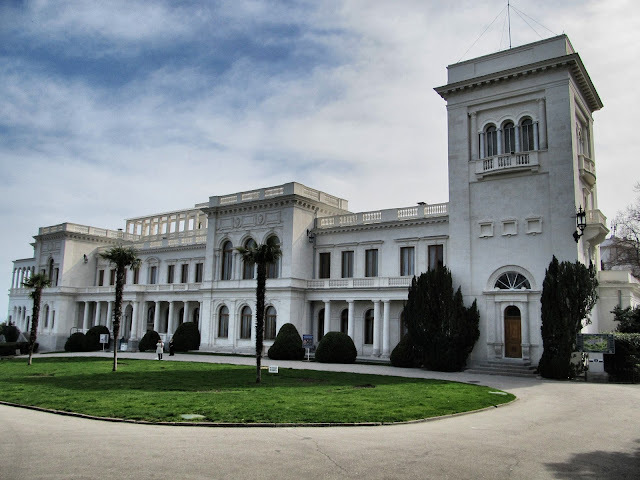 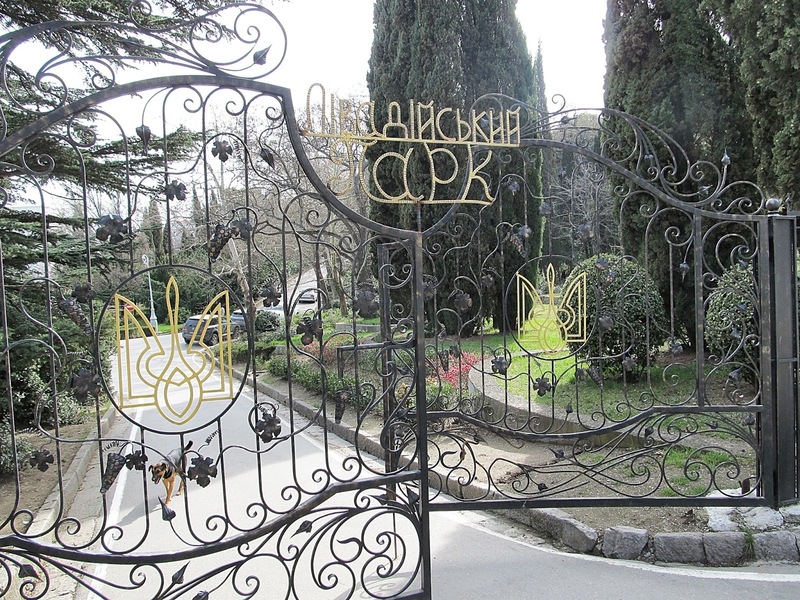 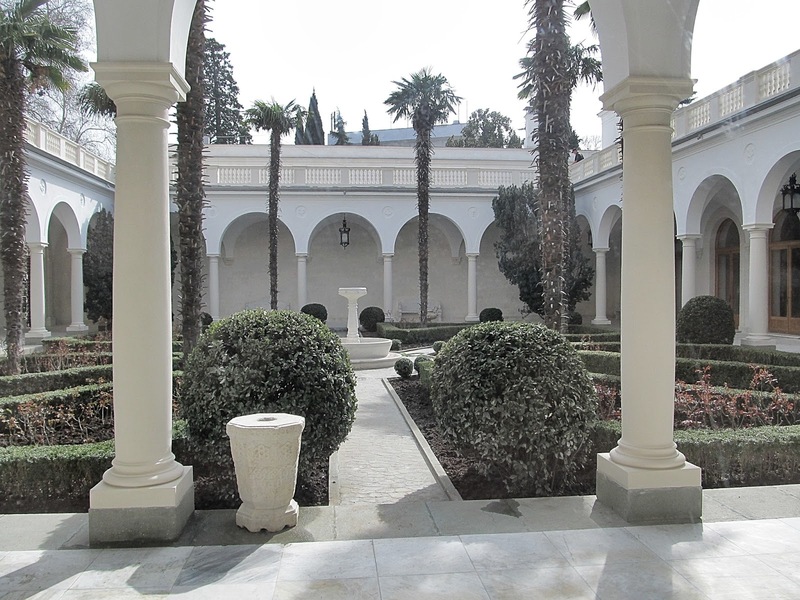 The other key site in Yalta is Livadia Palace which is a former summer home of tsar Nicholas II. 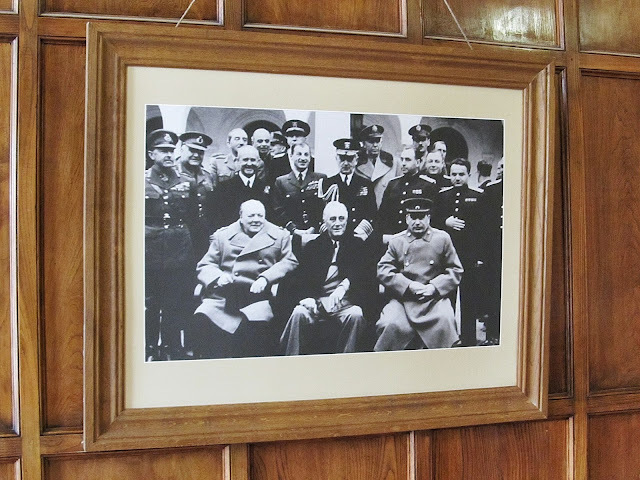 It was also the site of the Yalta Conference between FDR, Churchill, and Stalin at which discussions were held about how to re-organize Europe after Germany's defeat. 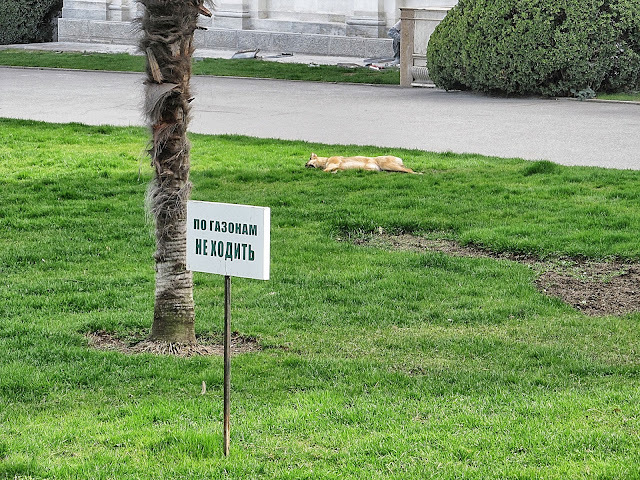 Apparently this dog did not read the sign telling him to keep off the grass. ...at which this famous photo was taken. 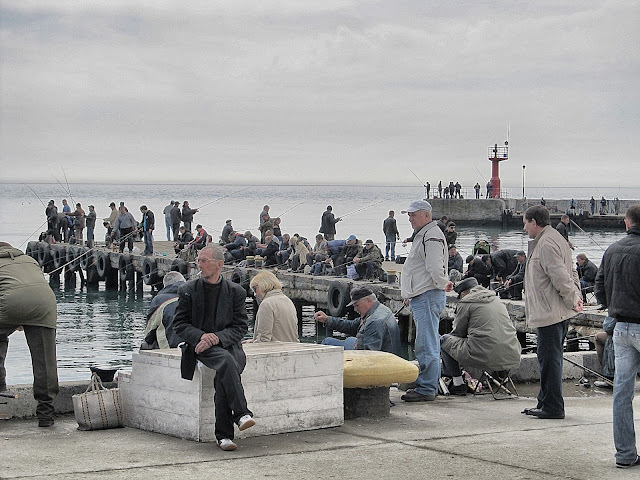 You can just barely make out the arches behind the men. About half of the palace is devoted to a the Yalta Conference while the other half is devoted to Nicholas II and his family who stayed at the palace for a few summers. 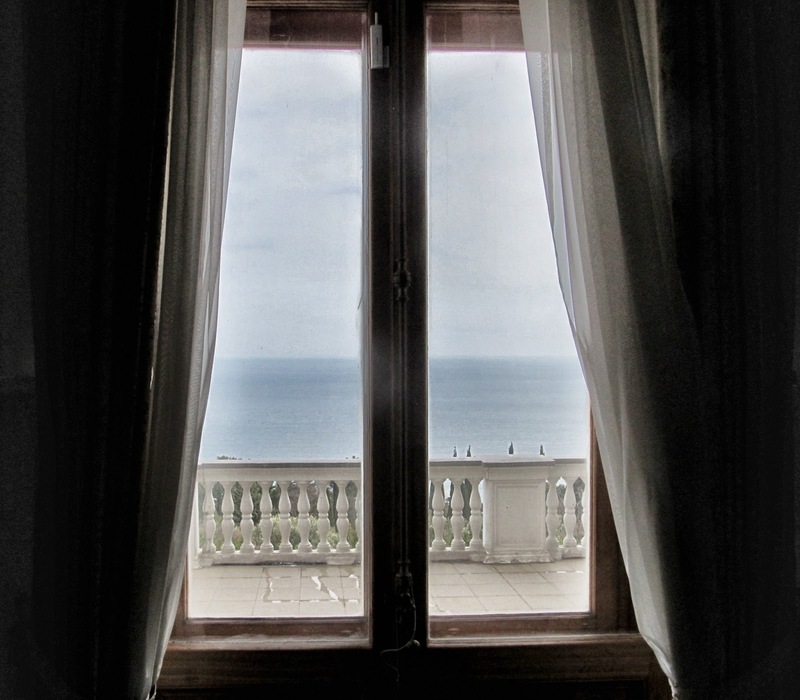 Here is the view of the Black Sea from one of their rooms. Yalta was by far the most tourist-centric place in Ukraine [Lviv would be a close second] and it was a wonderful change of pace. Laura and I often joke that in 20 years when we come back to see what has changed in Ukraine we will certainly need to come back to Yalta one more time.